Cham Cham is a popular North Indian dessert. Made on festive activities like Holi, Diwali and Durga Puja, this dessert recipe comes in numerous variations and flavours. 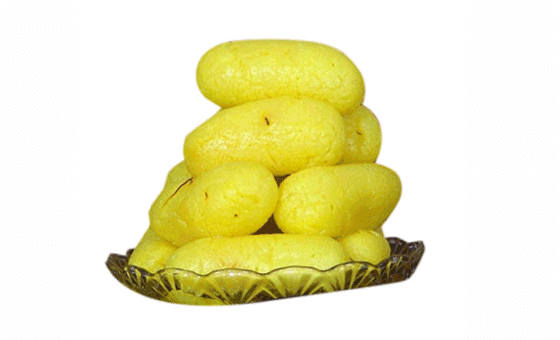 Cham cham, Chomchom, or chum chum is a traditional Bengali sweet originated from Porabari, Tangail, Bangladesh. It is a very famous dessert in Bangladesh, India, and Pakistan. The cuisine comes in a variety of colors, mainly light yellow,light pink, and white. It is coated with coconut or mawa flakes as a garnish.